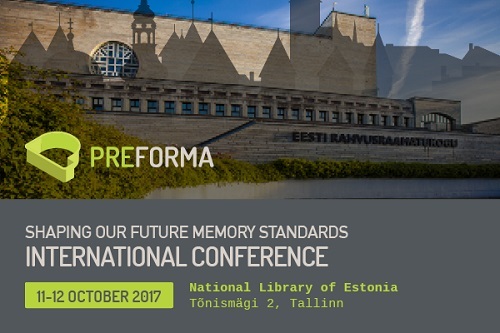 Following the successful workshops organised in Stockholm, Berlin and Padua, the PREFORMA project invites all the members of the digital preservation community to attend the PREFORMA International Conference – Shaping our future memory standards, which will be held in Tallinn on 11-12 October 2017. Aim of the event is to highlight the importance of standardisation and file format validation for the long term preservation of digital cultural content, present the open source conformance checkers developed in PREFORMA and look at future challenges and opportunities. Hosted by the National Library of Estonia, the conference will include: keynote speeches by international experts in digital preservation; live demonstrations of the software; examples and good practices of memory institutions that are integrating the PREFORMA tools in their environments; and panel discussions to reflect on how to sustain and further develop the results of the project. 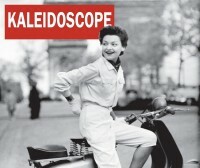 The event is intended for anyone dealing with digital preservation of images, documents and audiovisual files. This conference is a great opportunity to ask and exchange with international experts, fellow archivists and even Open Source developers about file format questions, issues and challenges we are facing today. 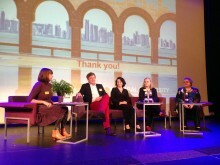 The PREFORMA International Conference will be co-located with the fifth edition of the Networking Session for EC projects in the cultural heritage field, a successful initiative launched in the framework of the RICHES project and continued under the auspices of Europeana Space and PREFORMA. If you have any questions or need additional information, please contact Claudio Prandoni at prandoni@aedeka.com. PREFORMA, PREservation FORMAts for culture information/e-archives, is a Pre-Commercial Procurement project started on January 1st, 2014, and co-funded by the European Commission under its FP7-ICT Programme to work on one of the main challenges memory institutions are facing nowadays: the long-term preservation of digital data. The main objective of the project is to give memory institutions full control of the process of the conformity tests of files to be created, migrated and ingested into archives, through the development of a set of tools which enable this process to happen within an iteration that is under full control of the institutions. veraPDF, Easy Innova and MediaArea are currently working on the development of three open source software licensed conformance checkers aimed for any memory institution (or other organisation with a preservation task) wishing to check conformance with a specific standard. The standards under consideration are PDF/A for electronic documents, uncompressed TIFF for images and FFV1 (lossless video), LPCM (uncompressed audio) in a Matroska (.mkv) container for AV files. In addition, interoperability mechanisms allow the integration of the developed tools into the legacy systems of the memory institutions as well as their extension to new formats. The prototypes of these tools are available to download in the PREFORMA Open Source Portal. The project seeks to establish a sustainable community that ensures long-term availability of the software, generates useful feedback for those who control it and advances improvement of the standard specifications. Hosted at the Botanical Garden in Padua, the PREFORMA Innovation Workshop brought together more than 100 attendees interested in digital preservation and cultural heritage to present the open source conformance checkers developed in the project and discuss about the business models that can be built around them. The presentations delivered at the workshop are now available to download on the PREFORMA website.